Slowly dying, Sullyan escapes his clutches. She offers her skills to the Hierarch in defense of his throne, finally confronting Rykan on the field of battle.Her handsome Captain and lover, Robin Tamsen, embarks on a desperate quest to recover the Staff. But Rykan's greedy General, Sonten, is two steps ahead of him. If Robin cannot lay hold of the weapon before Sonten does, Sullyan's life and the lives of all Artesans are forfeit. 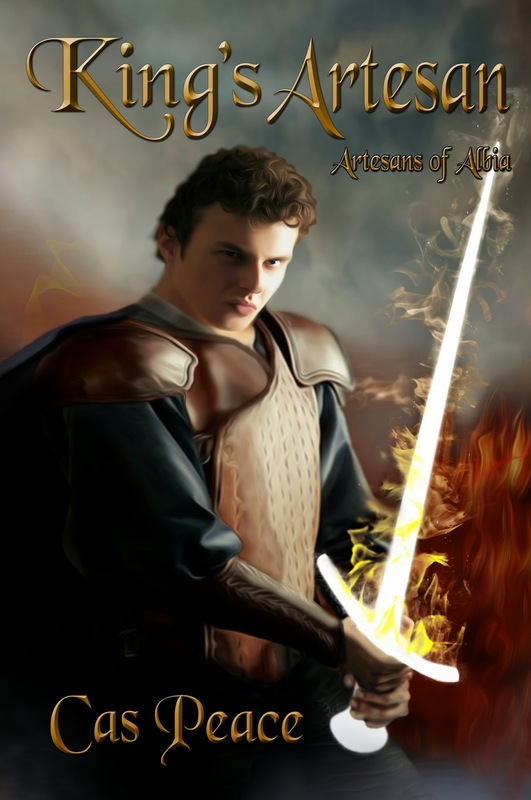 Hi, my name is Cas Peace, and I'm the author of the triple-trilogy high fantasy series, Artesans of Albia. Many thanks for inviting me onto your blog! I'm from the UK. I live in North Hampshire, in southern UK, about an hour south-west of London. 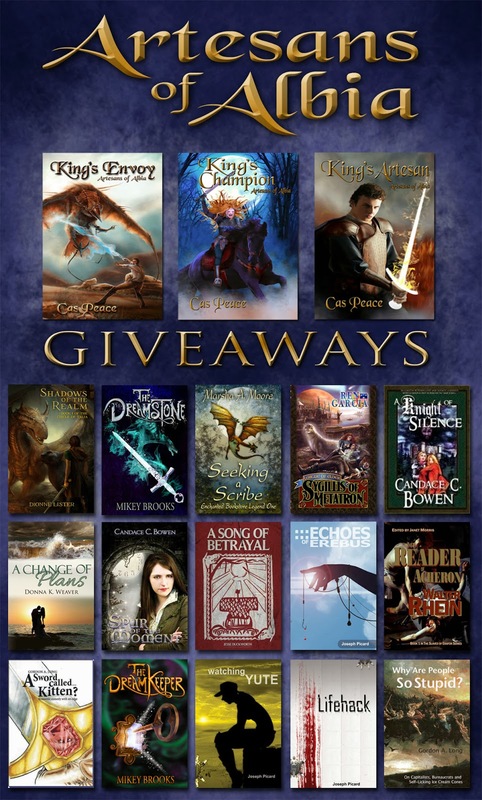 I began writing my fantasy series in 2001, and carried on writing while I tried to get the first book, King's Envoy, accepted for publication. It wasn't until 2010 that I had success with a publisher. Yes, I am - three, in fact! I have now published the entire first Artesans trilogy, but I have also recently had to become a self-published author. Therefore, I am promoting all three books that make up this first trilogy. They are King's Envoy, King's Champion, and King's Artesan. My main focus is epic fantasy, but I also have a non-fiction book out there. Published in 2008, For the Love of Daisy is the life story of a beautiful, mischeivous Dalmatian I used to own. She developed spinal problems and became disabled, and the book documents the therapies and treatments we used to help her. It's a book of hope. The overall plot is that a mysterious Albian Baron is determined to rid the realms of anyone who possesses the Artesan gift. One of my main male characters, Taran, accidentally uncovers the beginning of this plot, and pays the price. The books follow Taran as he deals with the consequences of his actions, and thus introduces those who will oppose the Baron - Major Sullyan and the other members of the Albian military forces. It came from a kid's TV program that aired in the 1970s (I know, I'm showing my age!) The main character in the TV show was a magician who solved crimes, and the show was called Tarot, Ace of Wands. A tiny idea stuck in my mind, which was, if you were someone born with a certain power, but no knowledge of how to use it, what would you do? If there was no one else like you, who could you turn to? This germ of an idea stayed with me for 40 years until I finally got round to exploring it! Not problems, exactly. There were a few scenes where I had to do some more research, and there were others I felt reluctant to write, mainly because I didn't feel I was informed enough to make them credible. But other than that, the story flowed very freely. I love becoming so absorbed in what I'm doing that I forget what's going on around me. I often forget to eat, and my two dogs have to come and nudge me when it's time for their walk! I also love creating new worlds, and experiencing the thrill of having a complete stranger connects strongly to my work. It's a wonderful and humbling feeling. I'm not a planner, not with fiction, anyway. I begin with an idea, and as I think about it, I usually end up with a beginning, a middle, and an end. That's as far as I go before I start writing. I like my characters to take me over and dictate what has to happen. 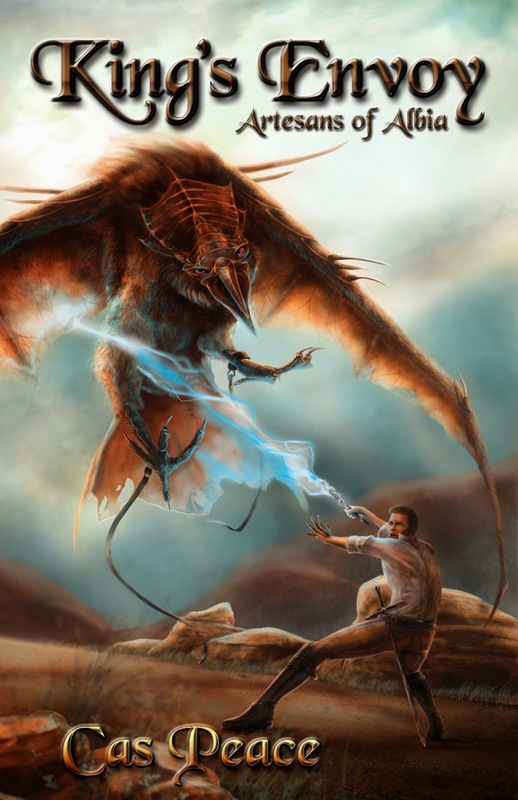 As their natures develop, and they have experiences, so my writing and plot develop too. I certainly have fans who keep asking for the next book in the series! I find that really exciting. I can't say any have given me ideas, but that's probably because they know all nine novels have already been written. I'm thrilled to say that all of my reviews so far have been positive. I have a range of 5, 4, and 3 stars, which I'm very pleased with. 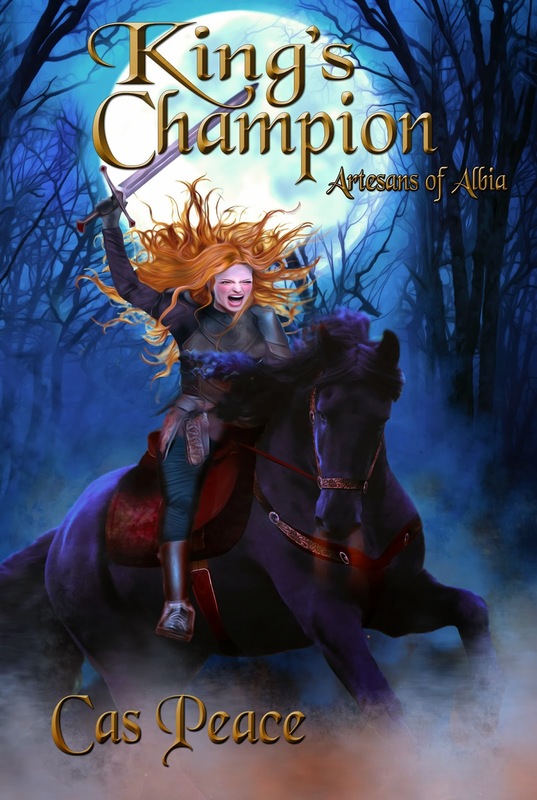 Some have been glowing - one reviewer even said my series was "better than A Game of Thrones"! I was elated by that one, I can tell you! I am actually a qualified horse-riding instructor, and I have a deep love of horses, so I could go back to that, I suppose. But if I'd known about it when I left school, I might well have trained as an archaeologist. I'm fascinated by ruins and ancient sites. That's a tricky one. It's a toss-up between J R R Tolkien, Stephen Donaldson, and Anne McCaffrey. Don't make me pick one! I have two dogs, so walking and playing with them helps me unwind. I also love gardening, and I grow cacti, so looking after my plants is fun. My husband owns a 35' sailing yacht, and although I'm no great sailor, and sometimes get seasick, a sunny day on the waves is a pleasant way to spend a day. That, or visiting with family. I don't actually belong to a writers' group, although I have given talks to a local one. But I am still in touch with some of my fellow ex-Rhemalda authors, and we often help each other. I think writers' groups are very valuable. Being a freelance editor myself, I do as much as I can to make my work polished and error free. Yet I believe that no writer can effectively edit their own work - we are all too close to it. I use the same editor I had at Rhemalda - she is thankfully available as a freelance. She keeps the editing of my books consistent, and frequently amazes me by what she finds in my thousand-times checked manuscript! The best tip I can give is to write! You can plan, and research, and write notes, and make character profiles as much as you like, but you can't call yourself a writer until you actually write. And when you do write, write with passion, emotion. Write from the heart. Above all - enjoy it! Cas's other great loves are anything to do with animals, especially dogs and horses, (she supports many animal charities) and also singing. 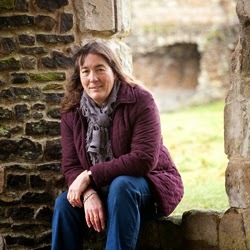 Cas loves folk songs and along with her husband, who plays guitar, has performed in many a Southern England folk club. Sometimes they even asked her back! She writes folk songs to accompany her fantasy novels, and offers them as free downloads from her website. I actually haven't heard of this series up until now.